Watches had been made so we could tell the exact time of the day when travelling, especially. It has earned its place as one of the most vital inventions in mankind’s history. It was a fairly complicated device that measured the passage of time precisely and was able to display it to the wearer. In their more than 300 years of existence watches have advanced from being mere timepieces to pieces of art and a status symbol. There are a few watches that are so exorbitantly priced that these watches are more expensive than a Ferrari. 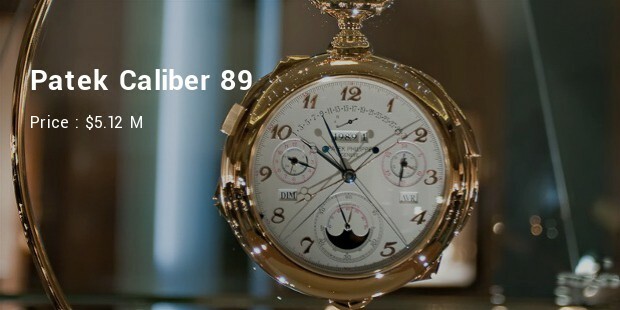 This Patek Caliber 89 is priced at an astounding $5.12 million being the world’s most complex watch with around 33 complications. This 150th anniversary commemorative watch was launched in 1989. This somewhat heavy pocket-watch has the most varied features such as a star chart as well as a thermometer. It is made from 18 carat gold/platinum and is the beautiful result of more than 5 years of extensive research and development which took 4 years to be made. 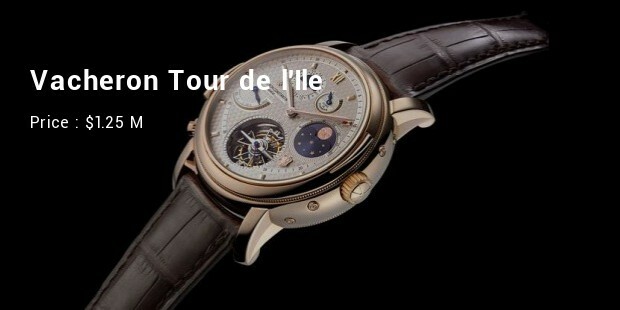 The Vacheron Tour de l’Ile is highly expensive at around $1.25 million. Being from one of the oldest European watchmakers this watch features exceptional complications, such as a tourbillion, dual faces and more parts than your average wrist watch can possibly have. 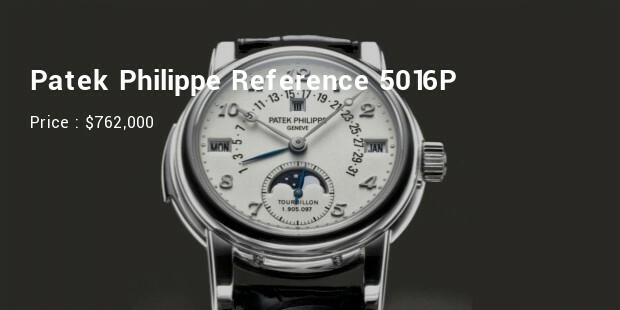 The Patek Philippe Reference 5016 Platinum is priced at an expensive $762,000 and is the most complicated wristwatch by the expert watchmakers. The advanced technology allows for continual functioning till 2100. This watch also features advanced moon-phase display with a perpetual calendar. 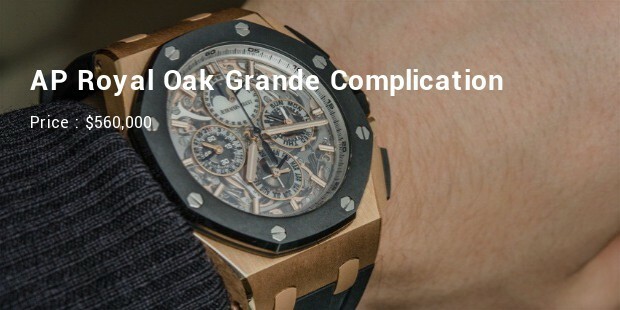 The Audemars Piquet presented the Royal Oak Grande Complication and priced it at an expensive $560,000. This watch features a highly-reliable perpetual calendar along with split second chronograph, minute repeater all set in a genuine platinum case. 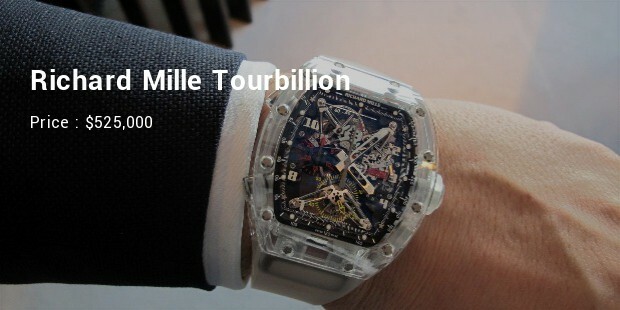 The Richard Mille Tourbillion is priced at around $525,000 and is certainly a piece of modern art and technology. This watch is made from a combination of aluminum and titanium and looks like a cross between a transformer and the steam punk mechanism with a skeletal dial. This is a unique and stylish wrist watch from the famed watch designers. 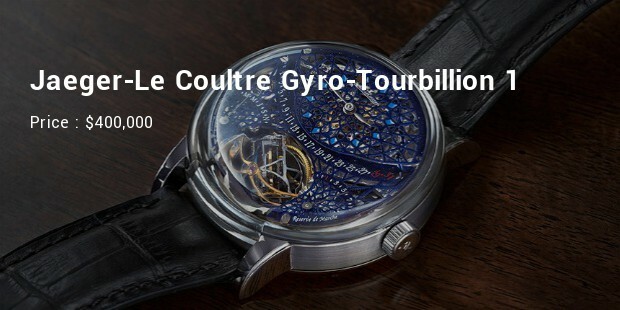 The Jaeger-Le Coultre Gyro-Tourbillion 1 is priced around $400,000 due to its advanced gyro-tourbillion technology mainly. The gyro-tourbillion works against the effects of forces of gravity on other simpler timepieces by providing twice the precision and accuracy in time-keeping. The watch comes in a complete platinum case with a genuine leather band to give it the sleek look. 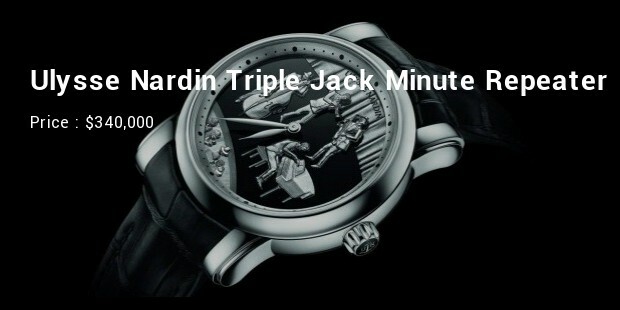 This simple looking creation from Ulysse Nardin, the Triple Jack Minute Repeater is priced at an expensive $340,000. This beautifully designed wrist watch features three Jacks hammering bells which separate the quarter hours from the minutes. 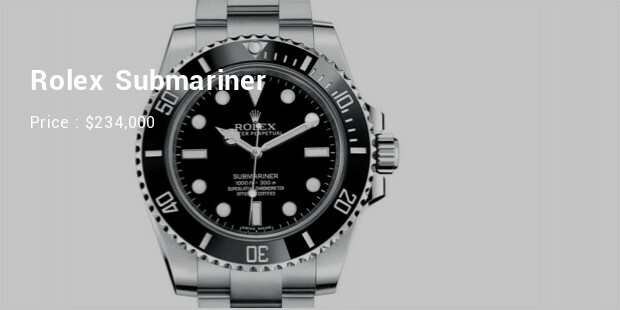 This particular Rolex Submariner is expensive at $234,000 which is way higher than its original price. The reason for this is the previous owner happened to be none other than the ‘King of Cool’, Steve McQueen. This watch is advanced with various features such as water-resistance and self-winding as well. It came with the stainless steel oyster bracelet with the Rolex monogram. 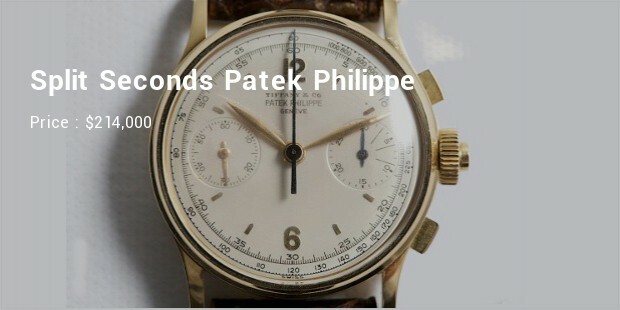 The Split Seconds Patek Philippe Reference 1436 was order by the popular fashion brand Tiffany & Co. and is priced at an expensive $214,000. This limited-edition watch was made in 1960. It is made from 18 carat yellow gold case with an advanced transitional dial. It features the easy-to-use square-button chronograph with co-axial spilt-seconds chronograph as well as a tachometer. 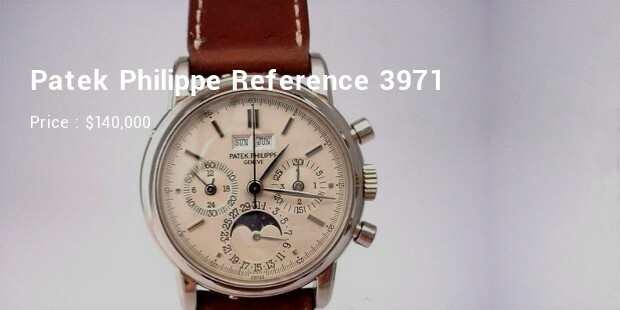 The highly-advanced Patek Philippe Reference 3971 is priced at around $140,000. This 18 carat gold wrist watch was made around 1989 and is truly a piece of art. It also has advanced features such as round-button chronograph with perpetual calendar and expansive moon-phase display. These are surely some of the most exorbitantly priced watches but rest assured their high price is justified mainly due to their rareness as well as the load of advanced features that they have. These are all designer watches created by some of the most renowned watchmakers in Europe which makes them unique and precious as well.